According to “Medical Alert Buyer’s Guide,” from 2002 – 2017 senior citizens looking for reliable, evidence-based health information could begin their search with NIHSeniorHealth.gov. However, starting Aug 1, 2017, the site was retired, and seniors visiting the URL today receive a simple 404 “Page Not Found” error. It’s clear that more seniors than ever are going online. For example, the 2017 Pew Internet survey showed 67% of seniors go online, as compared to merely 14% in 2000 — a nearly 5-fold increase. And, it’s also clear that the volume of health information without clear scientific backing is also increasing. The US Federal Trade Commission, for example, recently published warnings about fraudulent “miracle health claims” related to cancer, HIV and arthritis. Given the dramatic increase in both seniors using the internet and fraudulent claims about health products, why was the NIHSeniorHealth.gov website taken down? Originally created in 2002 by the US National Institutes of Health, NIHSeniorHealth.gov was designed as a place for seniors to find evidence-based health information. When the site first launched, Richard J. Hodes, Director of the National Institute on Aging (NIA), and Donald A.B. Lindberg, Director of the National Library of Medicine (NLM), stated that the goal of the site was to increase the accessibility of the valuable resources of the NIH to seniors and caregivers. Although the site was mostly compiled by the NIA and the NLM, some of its content was reviewed by the American Geriatrics Society. In its early days, the site contained relatively few articles, but the topics covered grew over time. Citing changes in memory, vision, text comprehension, and information processing speed in older adults, the site’s designers ensured seniors would be able to navigate the site by providing information in large-print, short, simple “chunked” information, a screen reader option that allowed readers to play the text aloud, and buttons to enlarge the text or increase the contrast on the screen. The site was then thoroughly tested with people aged 60 to 88 to check its navigability. NIHSeniorHealth.gov also complied with Section 508 of the Rehabilitation Act of 1973, which aimed to make electronic government resources available and accessible to individuals with disabilities. As the accessibility of the website evolved over time, so did the content. In its early days, NIHSeniorHealth.gov contained information on Alzheimer’s Disease, Arthritis, balance problems, breast cancer, caring for someone with Alzheimer’s, colorectal cancer, exercise for seniors, hearing loss, lung cancer, and prostate cancer. As time went on, the list of topics grew and was eventually sorted into an alphabetical index on the website. By 2017, NIHSeniorHealth.gov contained a list of over 70 topics related to senior health, including Parkinson’s, Macular Degeneration, eating well, and taste problems. Most of the topics contained text information, videos, and a list of frequently asked questions. Why Was the Site Closed Down? Part of the story of NIHSeniorHealth is likely funding-related. When President Trump came into office in 2017 he called for a $1.2 billion funding cut to the NIH. Congress disagreed, and raised funding by $2 billion. However, funding for the NIA and the NLM (the two Institutes responsible for NIHSeniorHealth.gov) remained flat between 2016 and 2017. Worse, in 2017 President Trump proposed slashing the NIH’s 2018 budget by $5.8 billion. (Both the NIA and NLM saw their funding decrease in 2018 — an 18% drop for the NIA and a 5% drop for the NLM). It is likely that the NIA and NLM simply decided that their website was redundant, and poor use of resources. Center for Disease Control and Prevention, “Physical Activity and Health: A Report of the Surgeon General”: This resource contains a summary of the benefits of exercise along with a list of possible actions for communities to take to promote the well-being of their senior members. HelpGuide, “Senior Exercise and Fitness Tips”: HelpGuide is an independently funded website with tips provided by a team of doctors for improving one’s mental and physical health. This particular page contains information on how seniors can safely begin exercising and the benefits of exercise. 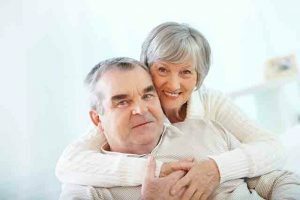 U.S. Department of Health and Human Services, “Healthy Aging”: The U.S. Department of Health and Human Services provides information on staying active, staying connected to your community, nutrition, mental health, locating care, managing medications, and various diseases and illnesses. MedlinePlus, “Healthy Aging”: Created by the National Library of Medicine, the page on Healthy Aging contains preventative tips, information about testing, and helpful statistics. National Institute on Aging: The NIA has a number of videos embedded in its website related to senior health. These videos cover a list of topics that range from workouts to improving nursing home care. National Council on Aging: The NCOA seeks to promote the safety and well-being of older adults and also has many helpful videos on its website that contain information on fall prevention, healthy eating, and chronic disease management. Agency for Healthcare Research and Quality: Innovations Exchange, “Helping Older Adults Search for Health Information Online: A Toolkit for Trainers”: The Agency for Health Research and Quality’s mission is to speed the dissemination of healthcare innovations. Their website contains an introductory video along with various lesson plans for seniors who are in different stages of internet mastery. SeniorNet: SeniorNet’s Mission is to provide seniors with training on how to navigate technology and the internet. Although this website is not specifically focused on finding healthcare information online, it offers free computer classes and lesson plans to help seniors with general internet navigation. National Council on Aging, “Falls Prevention”: This particular resource from the NCOA contains information on evidence-based falls prevention programs for seniors and their families. The Center for Disease Control and Prevention, “Older Adult Falls”: The CDC provides information on the costs of falls, hip fractures, prevention programs, and statistics. Bethesda Health, “How Seniors Can Have Better Doctor’s Appointments”: Bethesda Health Group offers senior living facilities and services to seniors living in the St. Louis area. This resource provides older adults with information on how to prepare for a doctor’s visit. New York Times, “A Doctor’s Guide to a Good Appointment”: This in-depth article was written by Danielle Ofri, M.D., associate professor of medicine at New York University. It offers helpful tips on finding a good doctor, preparing for the visit, taking notes at the visit, and receiving as much information as possible. U.S. Department of Health and Human Services, National Institute on Deafness and Other Communication Disorders (NIDCD): The NIDCD contains a helpful page on age-related hearing loss. This page lists information on prevention, treatment, and research. HealthinAging.org: HealthinAging.org was produced by the American Geriatrics Society’s Health in Aging Foundation which seeks to offer older adults and their caregivers with helpful information on aging. Its website contains a page on age-related hearing loss that lists information on treatment, symptoms, age-related changes in the ear, and medications. National Council on Aging, “Healthy Eating Tips for Seniors”: This resource from the NCOA contains videos, infographics, and simple tips on eating healthy for seniors. Academy of Nutrition and Dietetics, “Healthy Eating for Older Adults”: The Academy of Nutrition and Dietetics has a page on “Healthy Eating for Older Adults” that offers tips for eating healthy and adding exercise into a fitness plan for seniors. http://healthylombard.com/wp-content/uploads/2016/01/older_people-1-e1547494994514.jpg 460 931 Juanita http://healthylombard.com/wp-content/uploads/2016/08/hl-logo.png Juanita2019-01-23 04:41:592019-01-14 13:44:27What Happened to NIHSeniorHealth.gov?